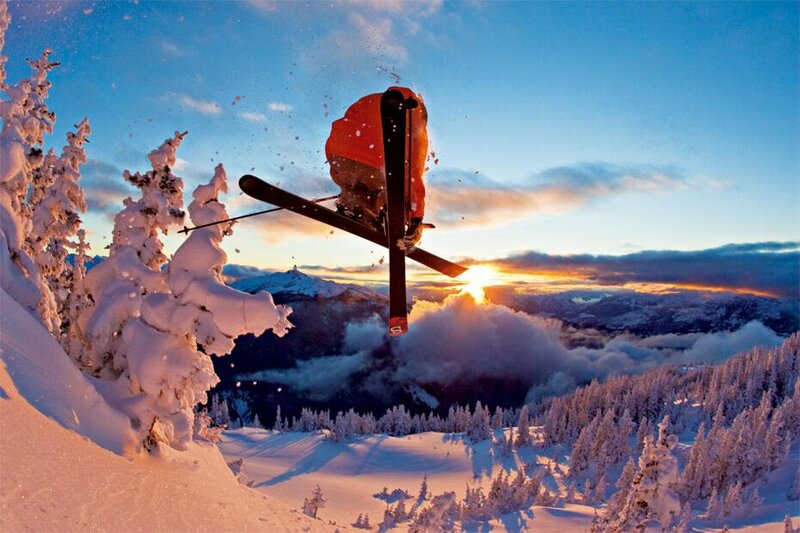 There are many different ways of travelling to Obergurgl. 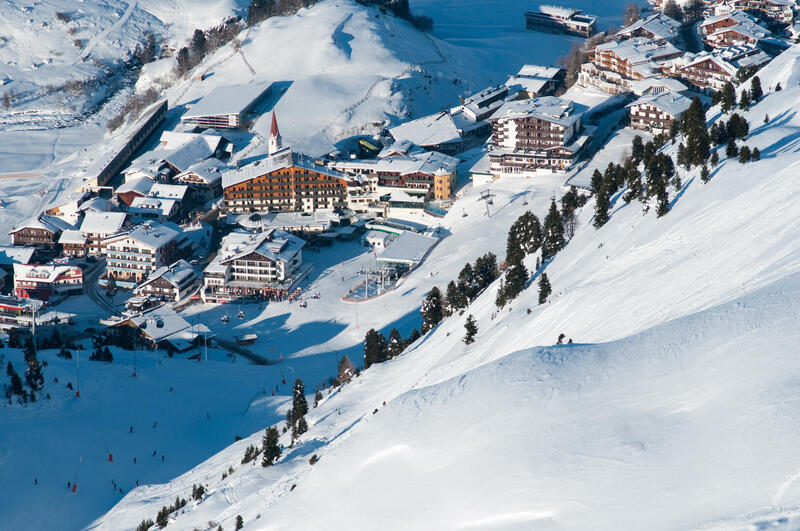 Whether you arrive by car, train or plane, all roads lead to the Gletscherblick Apartments in Obergurgl. travel past Innsbruck on the A12 motorway and continue towards Arlberg/Switzerland/Bregenz until you reach the exit marked “Haiming, Ötztal”. After leaving the motorway at this exit, follow the signs along the B186 for “Kühtai, Timmelsjoch, Meran, Ötztal Information” and continue into the Ötztal Valley. It is no more than an hour’s drive from the motorway exit to Obergurgl. travel along the A12 motorway towards Innsbruck/Munich as far as the exit marked “Haiming, Ötztal”. After leaving the motorway at this exit, follow the signs along the B186 for “Kühtai, Timmelsjoch, Meran, Ötztal Information” and continue into the Ötztal Valley. 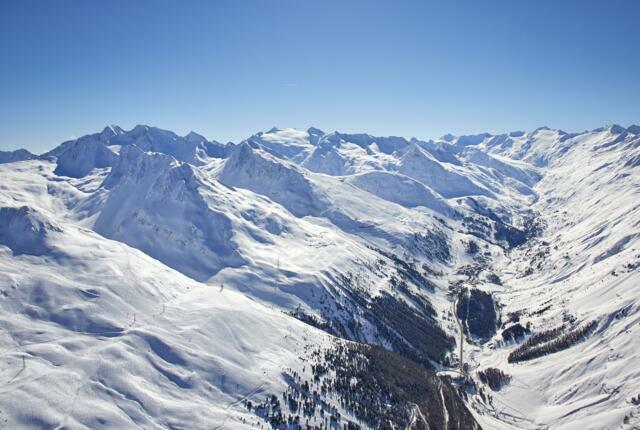 It is no more than an hour’s drive from the motorway exit to Obergurgl. can avoid the toll charge on the A12 motorway by taking the “Fernpass-Bundesstraße” or the road crossing the border near Garmisch. Follow either of these roads until they meet the B186, then follow the signs for “Kühtai, Timmelsjoch, Meran, Ötztal Information” and continue into the Ötztal Valley. Driving time from the start of the B186 to the village of Obergurgl is around an hour. drive to Merano and then take the SS44 towards “Timmelsjoch/Austria”. This road crosses into Austria via the high-altitude Timmelsjoch alpine road. Please be aware that this road is closed during heavy snowfall and at night. Visitors travelling by train should be aware that there are many special deals available, especially for guests arriving from Germany. Contact your local train operator for more information about special rates and family discounts. International trains arrive at the main train station in Innsbruck. 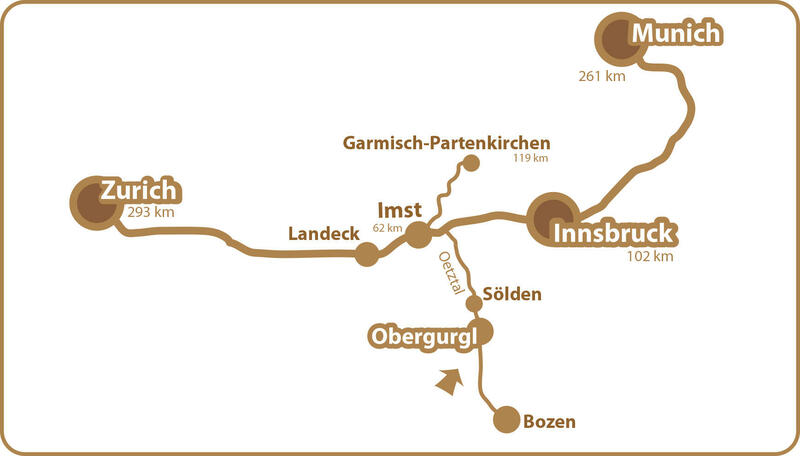 From there it is possible to take a regional train to “Ötztal Bahnhof”. Let us know when you will be arriving at the train station and a member of staff will be pleased to meet you on the platform. 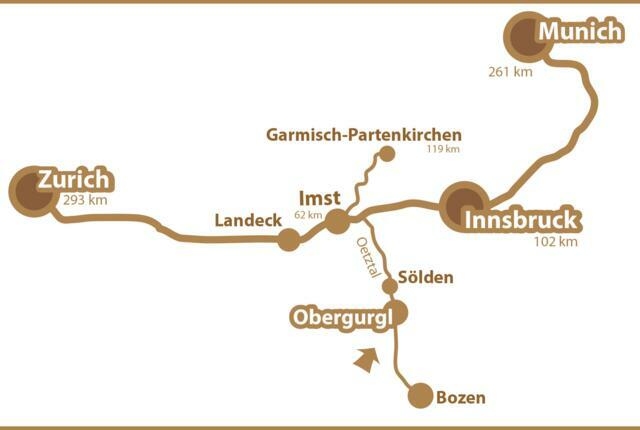 We will also be happy to arrange a pick-up service from the train station in Innsbruck. Contact us using the live chat service to find out more.